Item Weight 1 lb. 11.4 oz. 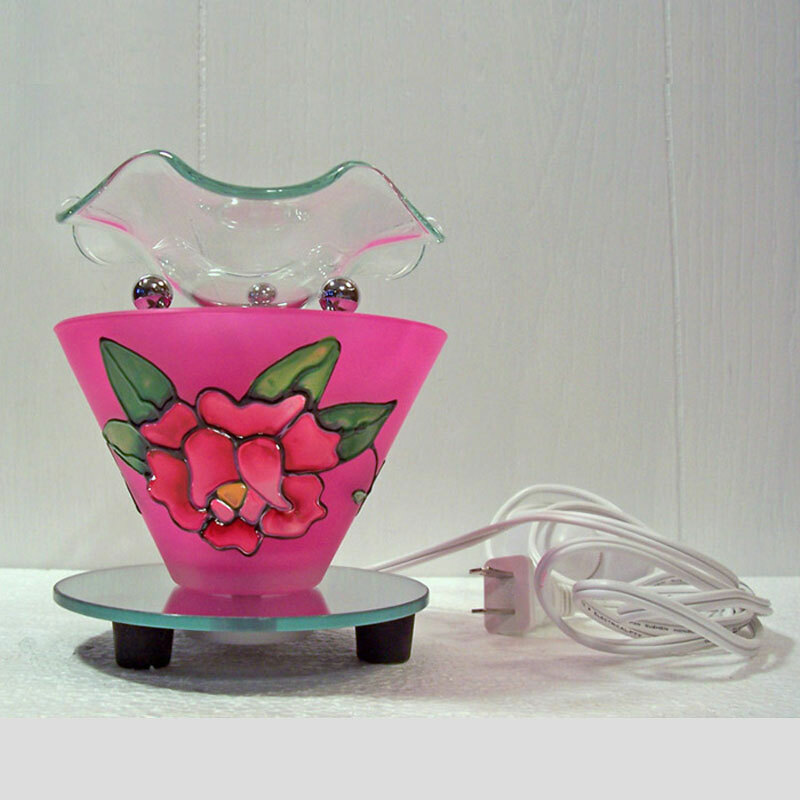 Electric oil or tart warmer featuring a raised etched rose on a deep pink background design on two sides. 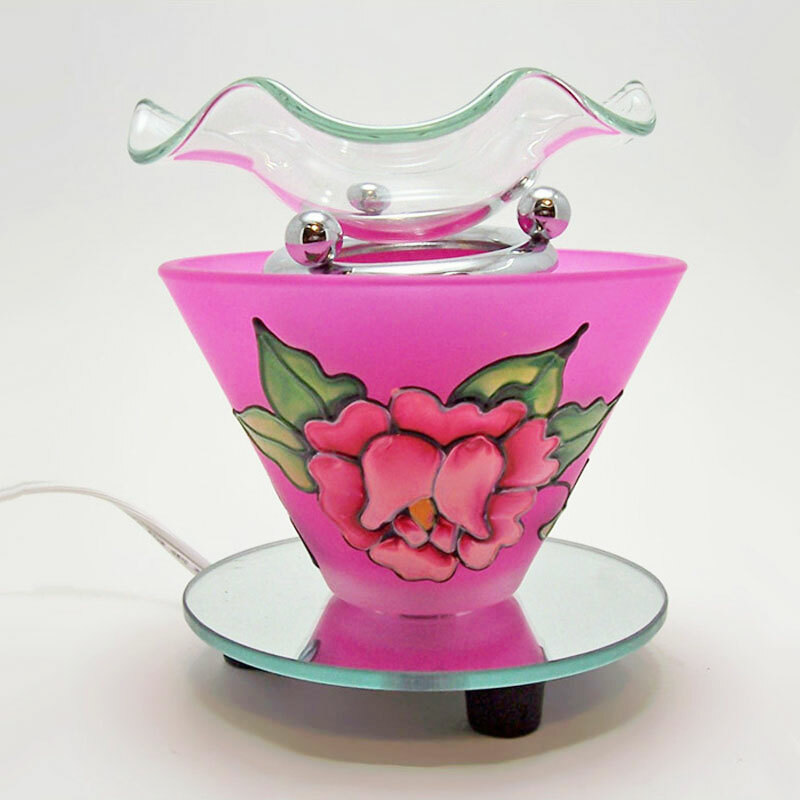 The round mirrored base completes the look.